Newly breezing on Mar 2014. Have an Escapade!! A walk away from famous Bruce Iron spot in Watu Karung (sack of rocks) beach. Watu Karung is simply paradise. It’s amazingly beautiful with reefs, turquoise water, clean beach, soft white sands stretching, and surfing spots offering barrels and world-class waves. Left and right. A serious surfing point, be lucky to meet pro surfer here and less crowd of surfers. Sleep by the beach in our boutique dorm sleep of 8 beds in an antique Javanese-styled wooden house, called Joglo. Don’t expect hotel or villa concept, this is just a simply self catered accommodation. Back to simplicity, wifi is still not available due signal still on and off. Just enjoy your time off. Environmental friendly, on some solar powered lights and limited electricity by generator from 18.00-24.00 (depend on the usage capacity. Could be longer if you provide petrol by your own). Clean sheet available, but bring your own toiletries as well as wax and extra leash. Ping pong tennis table and hammock available for your comfort. 7 nights of minimum stay. Booking must be made 3 days prior check in, non refundable. Book for airport pick up and click HOW TO GET THERE. In case you want to arrange transport by yourself, it is very important to advise us your estimate checking time in order for our staff to check you in. You might want to read WHERE TO EAT & OTHER ESSENTIALS. This entry was posted in Uncategorized and tagged barrels, beach, beach view, boutique hostel, bruce iron, bungalow, current, dorm, east java island, homestay, hotel, indonesia, joglo wooden house, marlon gerber, pacitan, pepen hendrik, reef break, rizal tanjung, surf points, surfcamp, surfing, watu karung, waves, white sand. Bookmark the permalink. 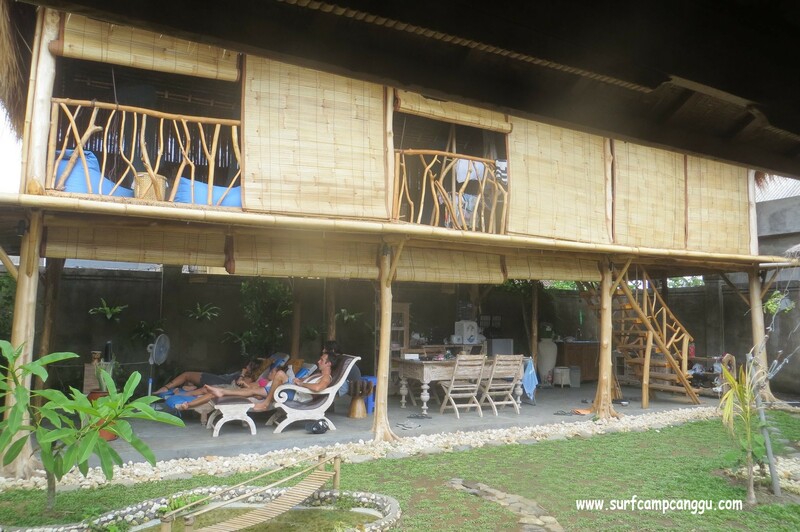 Body boarder-surfers family, we have permanent job and live in Bali. But our team there will do their best to help you.